I am pretty sure this is the last newsletter we put out since Art was “fired” shortly after this (big mistake!) when Kim decided to come back. I think the pressure to keep the Beatles Tribute in order to continue playing clubs and the fact we were not getting any concert bookings started to wear on us, and we thought it was time for a change. It was about this time we started considering changing the name of the group. As you can read, this is also when I started to change my name from Mike to Mick (purposely misspelled as Mik which I changed to Mick when I came to California). And Jon’s as well as Paul’s contribution tells us Paul is leaving the group. It also welcomes Glenn Stone in as roadie/sound/light man. 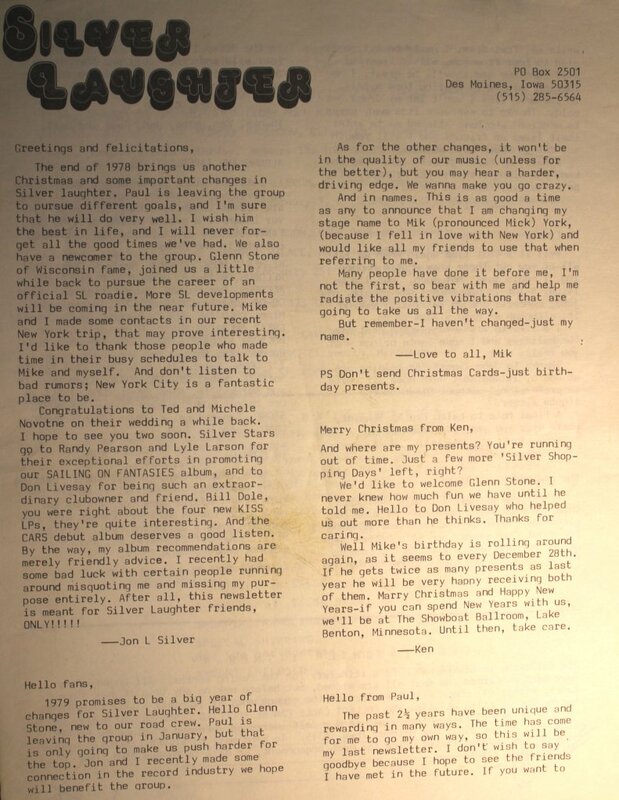 There were a lot of changes with this newsletter, but nothing could save the band from a breakup a short time later.